Chipleader at the start of the Day 4 of the World Poker Tour Cypruss Main Event, Alexey Rybin kept his advance until the final table. The day started with the 14 last players of this poker tournament, on the 262 players registered during the Day 1. But at the end of the day, there were only 6 players who played for the title: Alexey Rybin, Albert Daher, Andrei Nikonov, Kayhan Tugrul, Sergey Rybachenko and Pierre Sayegh. These six players qualified for the last day of the Main Event, after the elimination of Maximilian Droege in the 7th place, bubble boy of the final table. The Russian poker player, Alexey Rybin, who is at the head of chipcount since the Day 1A, remains the strong man of this final table, with a huge stack of 2,698,000 chips against 1,595,000 for his direct pursuer, Albert Daher. 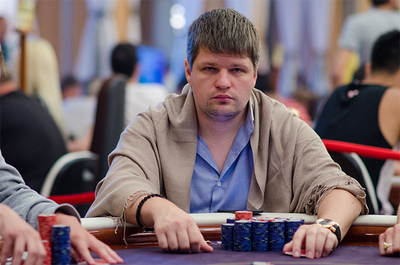 Andrei Nikonov and Kayhan Tugrul are also the other players of the final table who have more than 1 million chips. Sergey Rybachenko will start with a stack of 921,000, while Pierre Sayegh is the short stack of the day with 349,000 chips. The winner of this event will pocket $250,000 against $154,500 for the runner-up. The first eliminated of this final table will leave with $44,400. Note that the High Roller tournament of the WPT Cyprus has just been won by Marvin Rettenmaier, after a heads-up with the French Roger Hairabedian. Eliminated prematurely in the Main Event, the winner of the 2012 Main Event has pocketed $182,000 for this new victory at the WPT Cyprus.